The EFL has confirmed dates for this season's Championship playoffs - which Leeds United will be hoping to avoid. Marcelo Bielsa's side are on track for automatic promotion to the Premier League, however their position is not cemented yet. 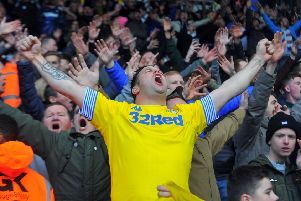 Just three points separate the Whites and third-placed Sheffield United, and the EFL has announced dates that could reluctantly be added to Leeds fans' diaries. The semi-finals of the play-offs will be held across three dates in May - just a week after the regular Championship season finishes. The selection for which fixtures are A and B will be made once the Championship season is completed. The play-off semi final matches will see the side finishing in 3rd face those who finish 6th, while 4th position will take on 5th. The higher ranked side play at home in the second leg and, as ever, all ties will be broadcast on Sky Sports. The Championship play-off final will then be held on Monday, May 27 (3pm kick-off).